Some great resources for free learning tools from lynda that can be accessed through your local library! Lynda.com is a fantastic website to help you with anything tech as well a multitude of other subjects. For those who don’t want or have the money to spend on a subscription for Lynda.com, then I have a solution, well rather, your public library does. The first step to getting set up with Lynda through a library, is by finding a library nearby you. An easy way to get a comprehensive list of library options is by going to this link. The link will take you to a website called Public Libraries, you can go by state and then find the library that is closest to where you live. You may need to use Google Maps to figure out which is the shortest distance to you. Let’s start with a basic HMTL game tutorial with a basic game we all know called snake, yes snake, but from this we work our way towards better games that’ll be listed further down, it’s simple but with some patience and coding knowledge it can be done. I’ll be listing some sites for those too. The following are websites that provide Sprites and similar content. Kenney.nl is based in the Netherlands and is producing some fantastic art for game developers. There are some really cool free assets on this site which have been made part of the public domain, meaning you can do anything you want with them. The free game graphics can be browsed according to their category so you can find your game art really quickly. 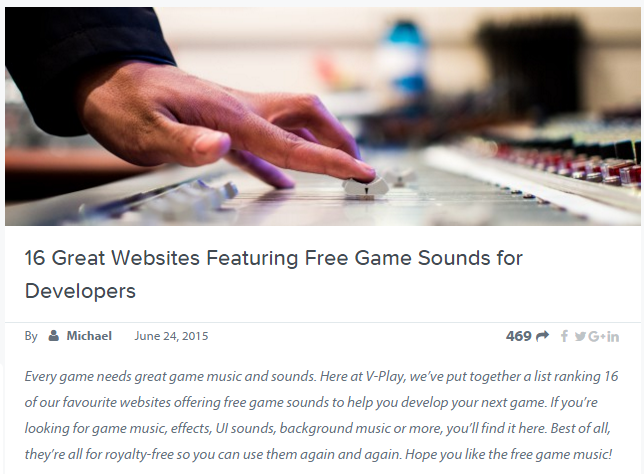 Kenney.nl also makes sounds and game sources available for free which could also be pretty useful for some readers. 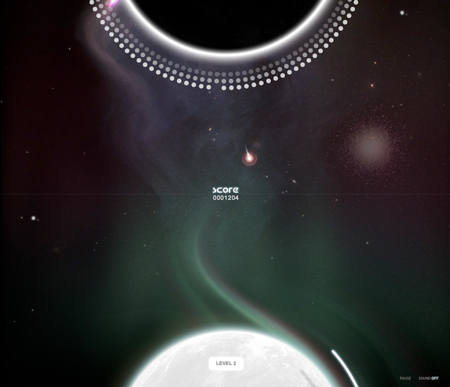 On top of all that, it’s a really beautifully designed site. This website has to be first on anyone’s list of places to go in search of free game graphics.OpenGameArt.org is a large site offering all kinds of graphics and even has a selection of sounds for game devs to use. It can be browsed according to category and all of the art is clearly displayed. It has a huge selection of 2D and 3D elements and is also home to a very active forum. The site is constantly being updated with content from its users and is ranked so you can find the most popular graphics of the month or go in search of some lesser used assets. This site is a huge resource of free game graphics for anyone looking to make their own RPG. Untamed.wild-refuge.net is home to Sithjester’s RMXP resources, a collection of image assets that are free to download and use how you like. The highlight of this site is the giant collection of 2D game sprites that you can browse all on one page. Clicking on a character you like brings you to a webpage where you can download a .png of the character from all angles, perfect for making your own sprites! This collection of image and sound assets is brought to you by Crateboy. The best part of this collection is the 8 bit city resource files. Crateboy advertises that there will be enough 16×16 tiles for you to build an entire city and there really are. This is some really great work and all Crateboy asks is that you credit him in your game. If you end up using these tiles a lot he also accepts a ‘pay what you like’ option. The use of colour tone in this artwork really makes it stand out from the crowd and could really help to define the look of your project. HasGraphics.com is a handy little site, filled with a variety of sprites and graphics. 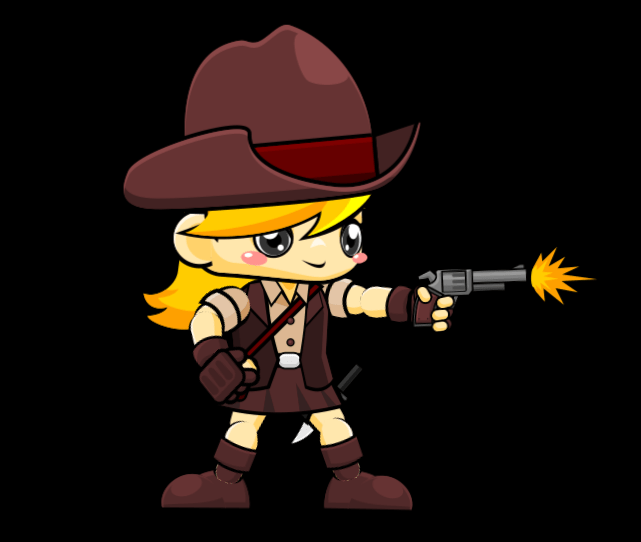 Check out the free sprites category to get started and find something to brighten up your next mobile game. As usual, make sure to check the licensing of any assets you want to use in your game! Gameart2d.com is home to some amazing image assets. This website is run by Zuhira Alfitra a.k.a pzUH. He’s an Indonesian game developer with a real eye for great game graphics. The majority of the assets on this site are for sale but there is a freebies section where you’ll find more images like those featured above. As well as these sprites, there is also a selection of tilesets, GUI assets and many more assorted images for you to choose from. They’re also completely free. If you need some sprites for your game, you should check out this website. Wigdetworx.com has made a great collection of static and animated sprites available for free in the SpriteLib project. While it’s not the biggest collection of sprites in this list, there is definitely something here for everyone. The pack includes a plethora of landscapes and characters that would look at home in any 2d game. All it takes is a click to download, so why not browse the assets yourself and get some free game graphics. Some readers will know Glitch as the web-based, collaborative, massively multiplayer game. Having been shut down in 2012 after two years online, the game’s developers have decided to release the game’s artwork into the public domain. There are over 10,000 assets to download and they’re all amazing quality. If you already like the look of these graphics, you’re in luck as you can download the entire package with one click and peruse them for yourself offline. Dumbanex.com is another site that has made some really cool artwork available to game developers. It’s all free to use as long as you credit them somewhere in your game. There’s a really rich collection of sprites and tilesets on this site and a lot of them can be downloaded quickly in .zip format. This site is run by Brent Anderson, who works professionally as a freelance game designer and developer. 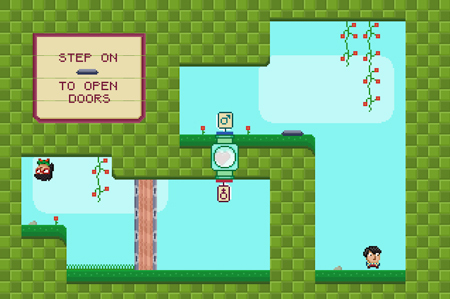 These free game graphics would be perfect for a mobile sidescroller or platformer. This website is run by Reiner “Tiles” Prokein and is brimming with free assets for game developers. Reiner himself is a hobby game developer who has produced a number of games. When he started out developing he couldn’t find the graphics he wanted, so he started making them himself. Ever since then he’s been sharing them online and they’re all available to you to use for free. He’s got a great selection of 2D and 3D images as well as some brilliant tutorials. Sharecg.com is primarily a site for artists to upload and share their work. It’s really worth a look if you’re after 3D or 2D art or if you want to find an artist to work with on some new ideas. The art is licensed under different terms so it’s important to check and make sure it can be used freely before you incorporate it into your games. There’s some really great indie art showcased on this site and you can also find tutorials, audio and software to use. This is a cool site for indie and casual game developers and they have a nice collection of free game graphics for devs. Their assets are categorized according to game theme and can be downloaded as .zip files. The artwork on this site has been made available by a variety of artists so license types may vary but roenica.com states that all details should be clarified within the .zip files. Roenica hosts both 2D and 3D graphics so there should be something here for everyone. Now it’s time for something completely different. The next site on our list is actually a blog about Google and everything related to Google. So then why is it included on our list? It’s included because in 2006 blog contributor, Philip Lenssen, posted a collection of almost 700 game spritesthat you can use under a Creative Commons License. The sprites are all character avatars from a game he was working on called ‘Last Guardian’. If you’re working on something that looks similar, then you definitely should check his stuff out. Lostgarden.com is a little bit different to most of the other sites featured in this article. 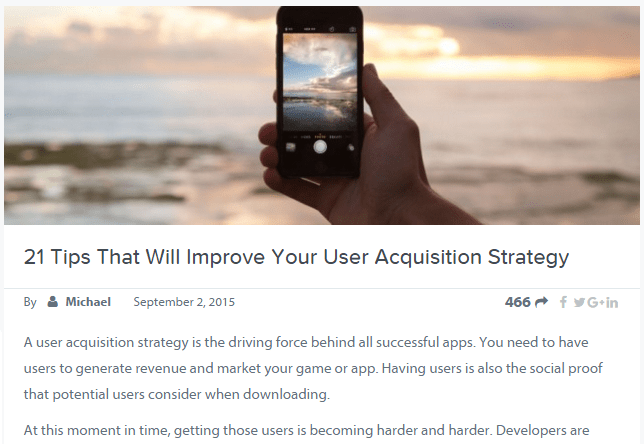 It’s the blog of Daniel Cook, a game designer working for Spry Fox. Daniel dedicates a section of his blog to game art and likes to update it periodically with free game art for developers. This site is also home to some great essays on game design in general and it would definitely be worth a look, if not to gain the insight of an industry professional, then purely for interest’s sake. Subtlepatterns.com offers some of the most beautiful work out of all the websites listed in this article. 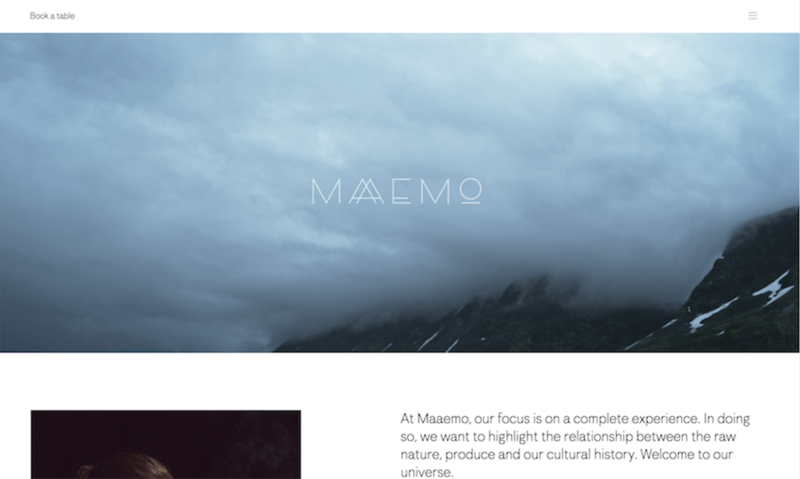 This website is run by Atle Mo, who designs and curates patterns for the site. He has made all of these wonderful patterns available to use under a creative commons license, so all you have to do is provide him with some credit in exchange for using his patterns. There is a lot of content on this site and it’s all of a very high standard. These patterns would make great UI backgrounds or could even be used in your game levels. The great thing about this website is that absolutely every piece of art that they share is completely free to use in every way. Openclipart.org is a great community dedicated to sharing free art to everyone that wants it. But let’s not forget the art itself. 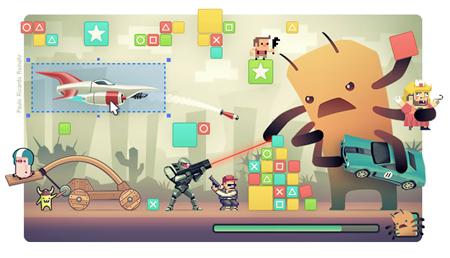 There’s some really great looking clipart on this site and a lot of it would definitely look at home in your next 2D game. Another great feature of this website is that you can make requests of the users and get tailor made clipart. All of these free graphics won’t be much use unless you know how to use them in your game! With V-Play, adding both Static Images and Sprites to your game is as simple as ever. Sprites can be added to your game using V-Play’s SpriteSequenceVPlay element. This is a great element if you have a game entity that can have multiple exclusive states like walking and jumping. 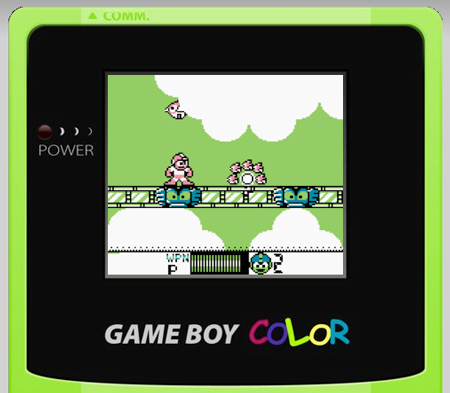 Below is an example of the SpriteSequenceVPlay Element at work. 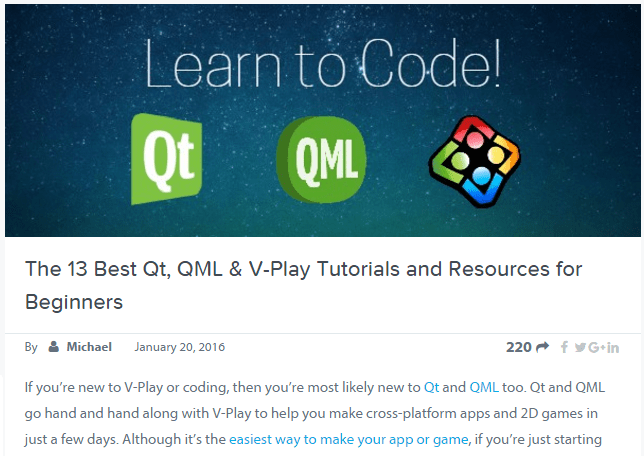 If you’d just like to insert a static image, a simple Qt Image Element should do the trick. And there you have it. If you know of any other great free game graphics for game devs, let us know in the comments section. And don’t forget to like, share or retweet if you think one of your friends would be interested in this list too! A list of pretty cool games, make sure to check out the source to understand how they work. Control two characters at the same time and try to let them meet. The hard part is that they walk in opposite directions, so you’ll need some coordination to open the doors. Play! Defend your planet against incoming meteorites. 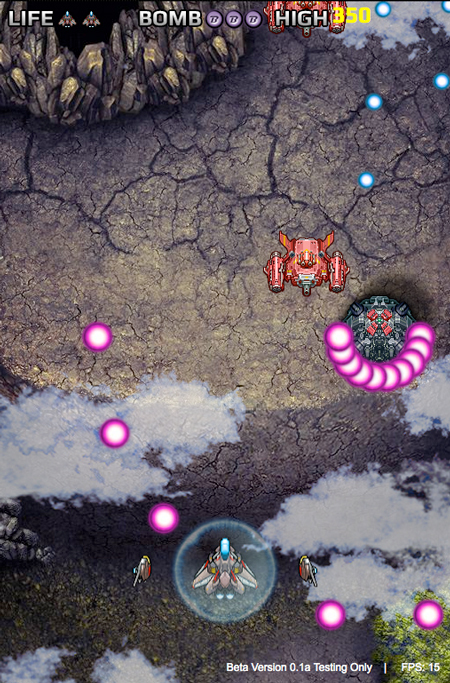 Fight back and bounce the projectiles straight into the enemy sphere. Play! 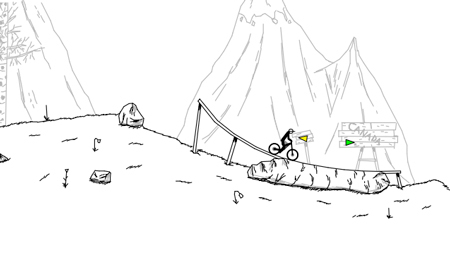 Addicting simple game where you race with a stick figure in levels designed by other users. Play! 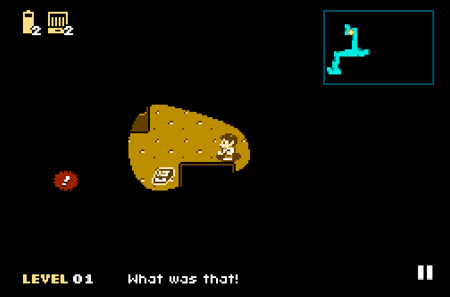 Your hero has fallen into a sinkhole and has a broken arm. You have to try to get him out of the sinkhole before his torche’s batteries run out. Play! Not exactly a game, but a game emulator that gives you access to old games that you’ve probably missed. Time to replay some Zelda, Megaman, Mario, Kirby,… Play! A shoot-em-up with cool isometric 3D graphics. Pretty intense if you ask me. Play! A game created by Kevin Roast. Fly with your geometric figure and shoot around. Play! 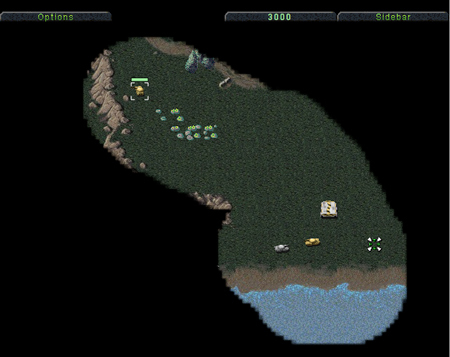 This is a recreation of the original Command and Conquer, a popular real time strategy game. Play! My favorite game in the list and the one with the most creative gameplay (in my opinion). Type the words that are coming down to shoot them. Best way to practice your typing. Play! Enough inspiration, now it’s time to get started with what’s under the hood and how to proceed to create a game. For those who, like me, have been sleeping through physics classes and forgot pretty much everything about basic physics principles. 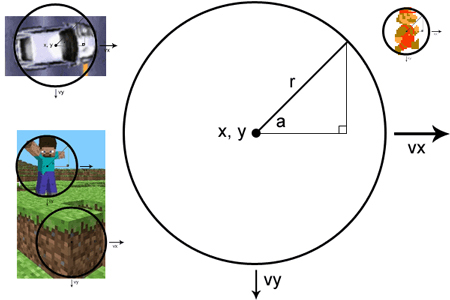 This page is a good reminder about what you need to know in physics for game development. 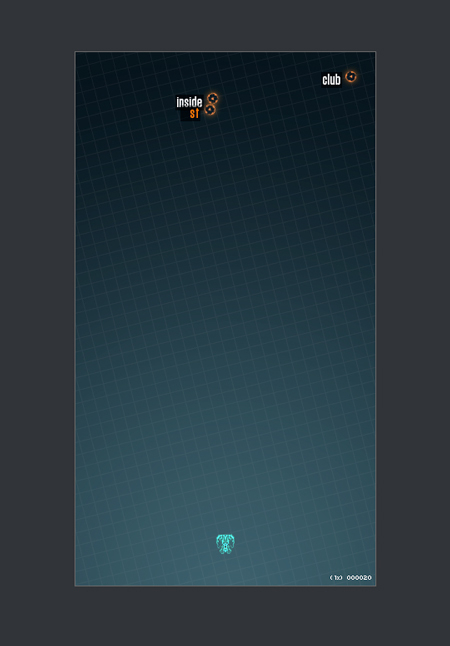 A great serie of tutorials that walks you through the creation of a simple Doodle Jump clone. A presentation by Ernesto Jimenez to make you aware of a few important things you’ll need to know when creating HTML5 games. The presentation on Slideshare. A serie of tutorials on Script Tutorials, good for beginners. Why bother recreating what’s been done well before you? These tools should help you to create your HTML5 games faster. The Jukebox is a component for playing sounds and music with the usage of sprites with a special focus on performance and cross-device deployment. Download on Github. A tool to build multi-platform optimized HTML5 games. They also let you import your old flash games. Try it. 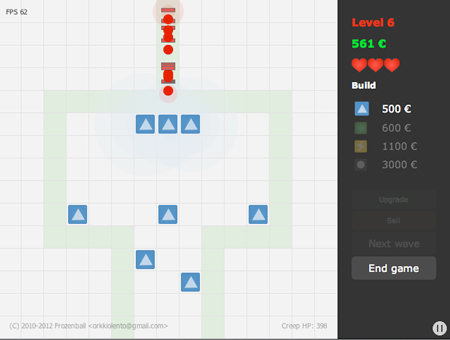 A drag-and-drop tool to create your HTML5 games easily. And it’s free! For anyone whose looking to be a future Designer/Developer it’s good to be on top of what’s trending to be a trendsetter in a world where schemes looks and feels of a sites functionality constantly change, Keeping in mind that simplicity is Key. Learning what UI vs what UX means and how functionality works further down is important. UI stands for User interface and the way a website looks and feels, UX makes sure to give the user the full best friendly experience on any version of their websites and focuses on a websites mobility in general. 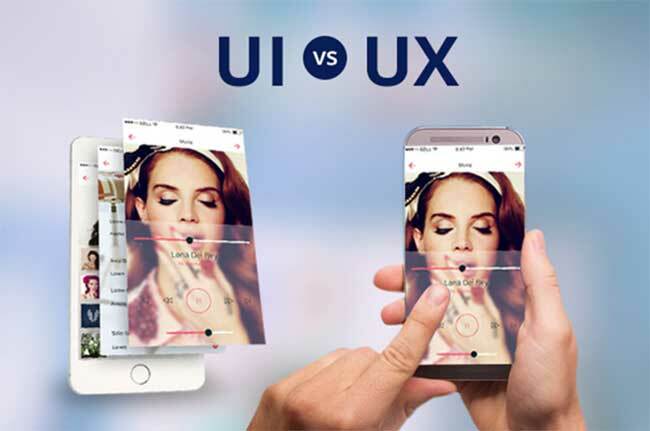 UX and UI the difference. UX Design refers to the term User Experience Design, while UI Design stands for User Interface Design. Both elements are crucial to a product and work closely together. But despite their professional relationship, the roles themselves are quite different, referring to very different parts of the process and the design discipline. Where UX Design is a more analytical and technical field, UI Design is closer to what we refer to as graphic design, though the responsibilities are somewhat more complex. An example of this would be to imagine a product as the human body, the bones represent the code which give it structure. The organs represent the UX design: measuring and optimizing against input for supporting life functions. And UI design represents the cosmetics of the body–its presentation, its senses and reactions. 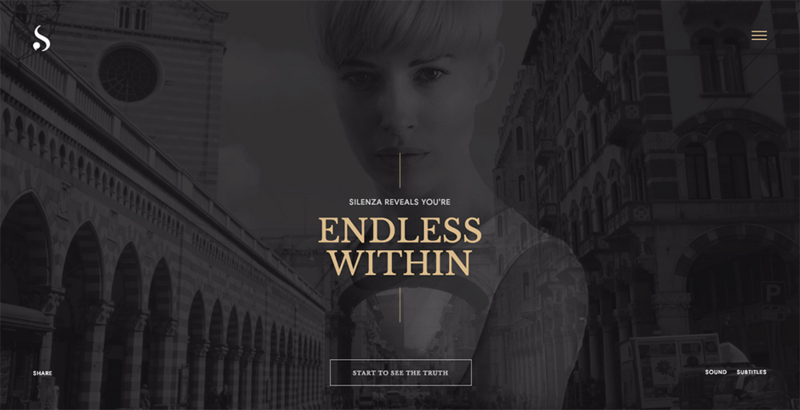 now that we know the different between user experience and here user interface let’s get down to designs, Here are 6 designs that have been and are currently appealing to clients in all any business. (Original Source and article from awwwards). 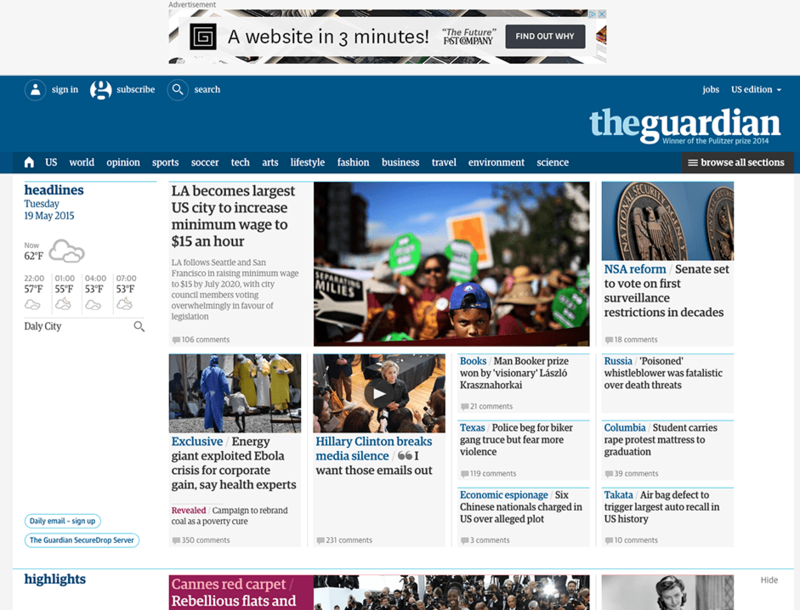 one of the side effects of responsive design has made a lot of sites look similar. However, responsive design isn’t solely to blame. The rise of WordPress sites and the booming theme market also have a hand in it. And some folks, such as Matthew Monbre, have copped to being guilty of following everyone else’s look with his company’s site. 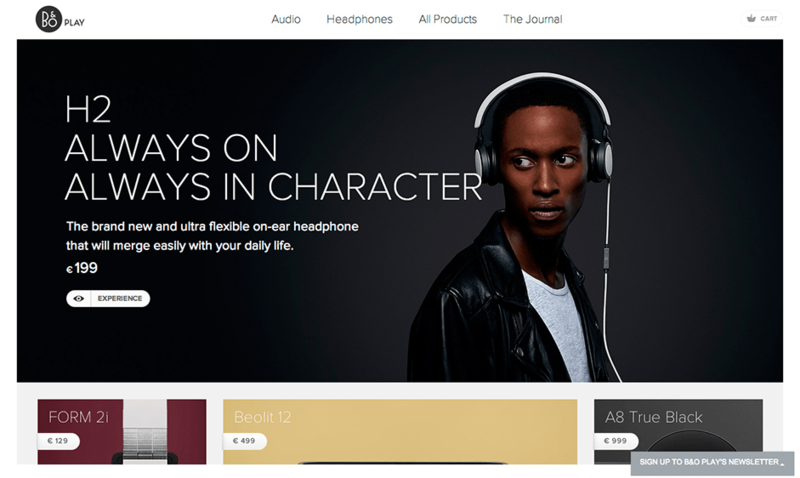 For more UI patterns and techniques, check out the free e-book Web Design Trends 2015 and 2016. Animations are being used more and more to enhance a site’s storytelling, making the experience more interactive and entertaining. These are used to entertain users and delight users during an otherwise tedious experience. Loading animations tend to be popular for flat design, minimalism, portfolios and one-page sites. Keep them simple and avoid adding sound. They should however match your site’s personality and color palette. Hidden navigation menus have become increasingly popular, especially as they can be used to save screen space. As you can see in the example below created in the collaborative prototyping tool UXPin, these use animations to reveal a menu when clicking on a specific button and prevent a jarring transition (like a navigation drawer hidden behind a hamburger icon). 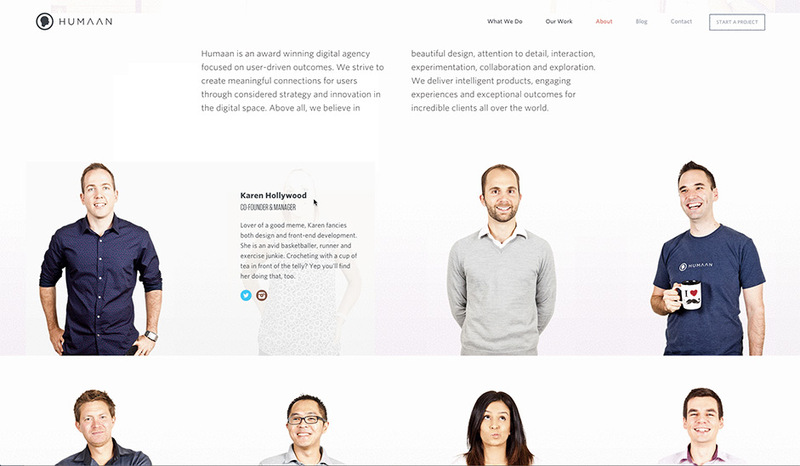 Hover effects give a more intuitive feel to a site as users mouse over content. Users unsure about a feature’s function tend to hover over them automatically for instant visual feedback. Galleries and slideshows are an effective way to showcase multiple images without overburdening the users. These are great for photography sites, product showcases, and portfolios. Our eyes are naturally drawn to motion, which makes it the perfect tool for drawing a user’s attention. Motion can also help with visual hierarchy. 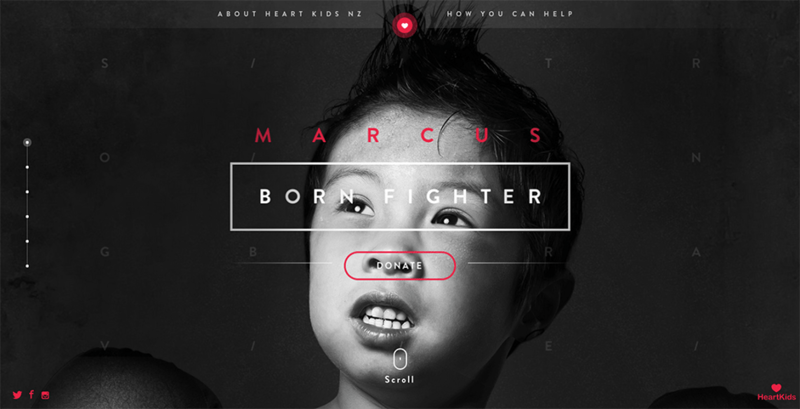 This can help to add interest and intrigue to forms, CTAs and menu items. Smooth scrolling relies on animation and gives further control to the user, who can determine the pace of how the animation unfolds. A simple animated background can add visibility to a site, but should be used in moderation or it can be very distracting to the user. The key is to work on individual sections or create a gentle movement of an entire image. Microinteractions happen all around us, from turning off the alarm on your mobile phone to liking that cat picture on Facebook. As recommended in Web Design Trends 2015 and 2016, you’ll want to ensure that these interactions happen almost invisibly. Don’t go overboard and keep it simple. Consider each detail with care, and make each interaction feel human. That is make text conversational and not robotic. 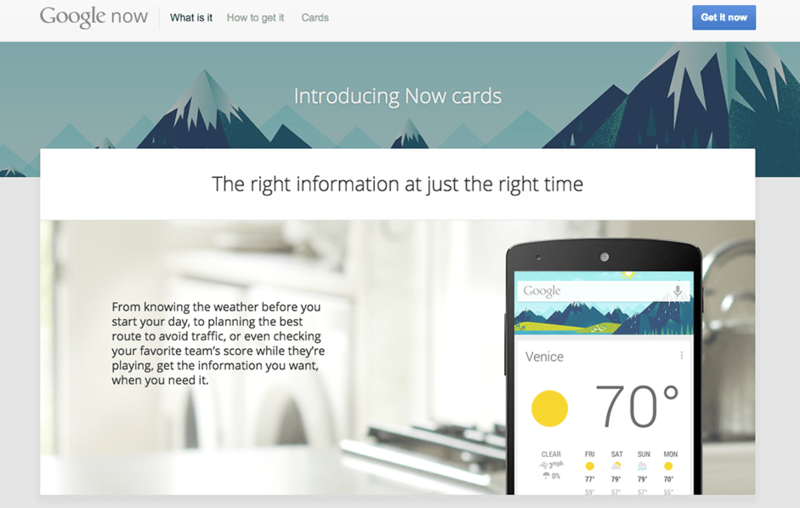 The goal of Material Design is to create clean, modernistic design that focus on UX. While Google’s design aesthetic has detractors, it’s been mostly praised as a game-changer. With its minimalistic look, Material Design has a lot in common with another growing trend — flat design. Material Design, however, makes use of depth and shadow, which allows for more depth than pure flat design. Material Design Lite doesn’t rely on any particular framework, so designers can use a wide variety of front-end tools to create their sites. It’s also lightweight when it comes to the code. Responsive web design has become incredibly popular in recent years thanks to the rise of mobile internet usage. 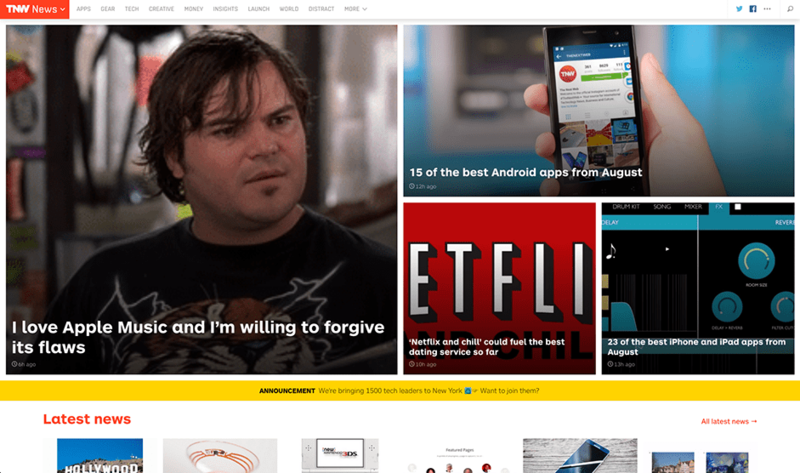 It’s safe to say responsive design isn’t going anywhere soon, as it represents a relatively simple and cheap way for businesses to build a fully-functional mobile-friendly site. But responsive web design does come with some issues if not carried out properly, the most important being performance. Use responsive images which are defined using a percentage. Apply performance testing into the process in order to effectively measure and optimize each site. Performance is important not only to UX, but also to Google in the wake of the Mobile Friendly update which released in April 2015. Responsive web design is also highly compatible with minimalism, thanks to the necessity to keep page weight down. It’s also great to work with cards and responsive design as they can easily restructure in order to fit any breakpoint or screen size (like rearranging rectangular containers of content). 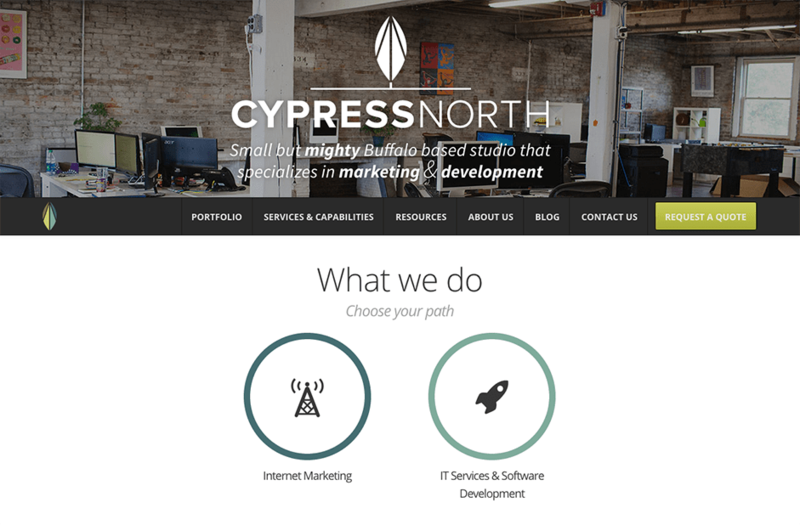 Responsive web design is becoming less of a trend and more of a best practice. And designers have come up with clever ways to get around any speed issues. There’s no doubt that responsive design is highly useful and versatile, but it also should be lightning fast in order to deliver a great UX. Flat design has been around for a while and is compatible with other trends such as minimalism, responsive web design and Material Design. Going forward, it’s likely that we’ll see the following further trends in flat design come to the forefront. UI vs UX source from CareerFoundry. Biometics and the upcoming trends of technology have been embedded into the human body since the early 1930s when US ophthalmologist Frank Burch suggested the idea of recognizing people from their iris patterns long before technology for doing so was feasible at the time in 1936. This post however is focused on iris scans. Okay, it’s a broad topic more leading towards iris scans along with some facial and finger print recognition. Biometics alone though has been around for quite sometime. we are just now hearing about it on the news because it’s a major breakthrough from many different points of view and we are starting to see this being used around the world with potential experiments, in 2006: Iris-scanning systems were installed at British airports, including Heathrow, Gatwick, Birmingham, and Stansted. Privacy concerns notwithstanding, hundreds of thousands of travelers voluntarily opted to use the machines to avoid lengthy passport-checking queues and since then scientist and researchers have continued to create iris scanning technology that we are still discovering today. Siberian Refugees weren’t really the first ones to try this but they were the headlines of a global story. So, what is iris Recognition and how does it work? Iris scanning biometrics measures the unique patterns in the colored circle of your eye to verify and authenticate your identity. Contactless, fast and renowned for its accuracy, biometric iris recognition can operate at long distances, with some solutions that leverage the modality requiring only a glance from a user. To get past an iris-scanning system, the unique pattern of your eye has to be recognized so you can be positively identified. That means there have to be two distinct stages involved in iris-scanning: enrollment (the first time you use the system, when it learns to recognize you) and verification/recognition (where you’re checked on subsequent occasions). Military and security staff alike use it for fast identification due to the colored ring of muscle that opens and shuts the pupil of the eye in the iris, it’s like a camera shutter. The colored pattern of our irises is determined genetically when we’re in the womb but not fully formed until we’re aged about two. It comes from a pigment called melanin—more melanin gives browner eyes and less produces bluer eyes (this varies with eye color). In reality the color and pattern of people’s eyes is extremely complex and completely unique: the patterns of one person’s two eyes are quite different from each other and even genetically identical twins have different iris patterns. There’s some major and minor advantages and disadvantages with Iris recognition and here’s why, first of all, in my opinion, once all the bugs are out there are so many different uses for this kind of technology. The biggest advantage of iris scanning is its accuracy and reliability: it’s estimated to be ten times more accurate than fingerprinting (claimed to produce around 1 in 1–2 million false matches, compared to fingerprints, which produce around 1 in 100,000). While fingerprints are constantly exposed and susceptible to damage, the iris is naturally protected by the cornea (the eye’s transparent front coating) and its pattern seems to remain reliably unchanged for decades unlike fingerprint scanners, which need direct contact and have to be kept clean, iris scans can be performed safely and hygienically at some distance from the eye. The setbacks of iris scanning aside from being costly and the fact that it’s still a relatively untried technology (some trials, for example, have found a much greater rate of false matches than originally claimed). Civil liberties campaigners have also voiced privacy concerns—that future iris-scanning technology could be developed that will allow people to be tracked covertly (at a distance) without either their knowledge or cooperation. How is iris recognition playing tribute in helping Refugees with food assistance? WFP’s innovative system relies on the UN Refugee Agency’s biometric registration data of refugees and works with WFP’s Jordanian partners; IrisGuard, the company that developed the iris scan platform, Jordan Ahli Bank and their counterpart Middle East Payment Systems (MEPS). Once the shopper has their iris scanned, the system automatically communicates with UNHCR’s registration database to confirm the identity of the refugee, before automatically continuing to the Jordan Ahli Bank through the Middle East Payment System financial gateway to determine the refugee’s remaining balance. It then confirms the purchase and prints a receipt for the refugee. WFP is looking to expand the use of its new iris scan payment system for refugees living in all Syrian refugee camps in Jordan during the coming months. Depending on the success of the system in the camps, WFP may also expand the use of this technology in areas outside of the camps. The day has finally come where a developer with a team of other super talented developers have joined forces to create this magical, whimsical, extremely entertaining app that portrays personalities blending in both avatars and emojis with themes so well, let’s face it, this app is going to replace every single emoji alternative that dares to call themselves apps. introducing Bitmojis! Have you ever wanted to take your avatar everywhere or be able to use anything other than the standard outdated emoji’s included with your phone to express yourself? well, now it’s possible! As much as this sounds like one of those infomercials, the fact that this app is so creative is beyond me. Just look at this! Not only can anyone customize their avatars but they can also make them into characters from movies and tv shows, from persons and characters to celebs and brands. there’s so much that went into making this app. Not only that, let’s say a friend wanted to get involved as well, both you and said friend can also take part in this if both have the app and other types of social media to share avatars. (for now it’s snapchat with some basic platforms but once this becomes popular it’ll branch out). So it gets better, check this out. This is friends A B and I judging friend A’s drawing, poor friend A really tried but we just weren’t as impressed. With Bitmoji’s it’s so easy to paint a picture just by using avatars to describe a scenario. let’s say friend A still had hope. (I got your back fam). So Friend B, whose also our mentor and guide, decides to give friend A another chance! Alas as much as she tried friend A didn’t make the cut. Friend B is not too happy with Friend A. The friendly interface and easy to use interaction among the variety of emoji’s and Avatars will have the vast majority of trendsetters who try it addicted. Here’s how it works. Snapchat users are have the ability to connect to Bitmoji via the app and combine that following the instructions where the conversations take place. But if Snapchat isn’t the go to place for social interaction, they have it covered. As I have previously stated there’s also ways to add these avatars via facebook, instagram, whatsapp, kik, and lastly messages once the app is allowed to access the keyboard settings it’s all good to go. This app will revolutionize the way we communicate and come on, they look like chibis! Chibis have taken over the style of art we currently see today in cartoons, comics, movies, and now this. Check out the links provided below for more info on where to find this app and more info related to Bitmojis. Just how far will technology go? 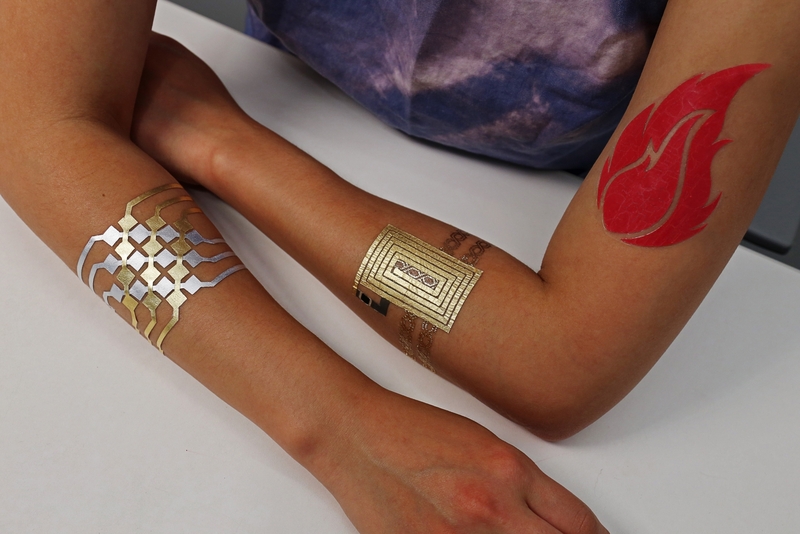 well, we don’t exactly know but get this, scientists have developed temporary tattoos that control smartphones. Yes, exactly as it sounds. Although they are only temporary it’s like nothing that’s been done before. This definitely is going to be trending people if it isn’t already. Alright, lets get down to it. How does this work, and why would anyone want a tattoo that controls your smartphone. I mean we have jewelry and smart wear for that. DuoSkin, was created as a joint effort between MIT researchers and Microsoft Research. The temporary tattoos are applied just like any other temporary tattoo. Made of gold leaf (and sometimes LEDs) the tattoos look more like jewelry than the temporary tattoos of decades past. There are three main uses for the tattoos: in a paper that will be presented at the upcoming International Symposium on Wearable Computers, the researchers outlined the following. Input Method an input device, so you can control, say, a smartphone app; an output device, so the tattoo itself can be used as a display; or a communication device, when the tattoos use NFC (near-field communication) to send data to other devices. An example for this would be the input method which is kind of like a touchscreen or trackpad (this is also used for wearable tech). This enables sensors that would be in the clothing inside the tatt allowing them to connect to a device which can then be activated using a hand gesture or swipe. 2. Output Method an output device, with the tattoos actually displaying information. Researchers at MIT and Microsoft demonstrated this with an app for couples called “Couple Harmony” that allowed couples to share their feelings via the tattoos.One person wore a “mood button” on their arm, and pressed it when they felt angry. Pressing the mood button caused the other person’s flame-shaped tattoo to light up (it had built-in LEDs) and glow white, so they could see when their partner was angry. tattoos glow either red or white based on the person’s current body temperature, like a mood ring almost. 3. Communication Finally, the third use involves an NFC-enabled version of the tattoos that allowed them to exchange information by tapping a smartphone on the tattoo. In the prototype they created, researchers could share their “skin status” via smartphone app when someone tapped their phone on the tattoo, but the method could be used to share just about any type of information. NOTE these are temporary tatts not actual ones which are still on there prototype state and currently being worked on to improve their use and functionality. This article is for educational purposes only. Recently, some of my classmates gave presentations on sites to check out to learn code for free. right, how interesting. I’ve been looking into a few of them myself. They have a lot of useful tools and educational vids. things of that sort. But what if you are like one of the many people (me) who practically live on their smartphones. well, yeah my life is on my smartphone, not only as a developer per say but I have a few apps and gismos that enhance the way I do things. That being said, it would be really neat to find an app or two that allows one to learn code from a mobile smartphone. I mean they do so much already and are capable of many practicalities right? why not use theme to learn code? Many schools and businesses now a days are joining the smartphone bandwagon. What I wanted to post was a few quick apps that will help anyone on the go utilize their time with quick lessons here and there from the following useful apps. Besides we already learn languages, solve equations, find grammar, and challenge ourselves with brain stimulating activities. coding does all of this and more. We’re in an era where that is going to someday be useful to us whether we’re building a website a portfolio, or even the next trend in social media or game. We learn from Code. What better way to stimulate the mind than by learning through gaming or enjoying what your learning through fun/entertainment. The following are apps worth checking out prices range from free + up. I’ll also be listing some apps for none mobile users, just because it’s understandable that not everyone is as enthusiastic about smartphones and they would prefer an alternative. Popular games, big names get kids/beginners introduced to code by playing fun games with familiar characters. Quick-hit lessons cover the basics in a fun, easy way. 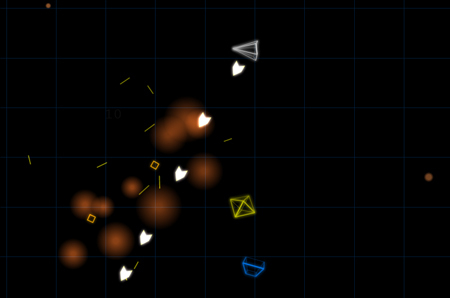 Test your skills to see how well you are against others coding your way through battle! to be continued, I’m still waiting for android devs to come up with a codecademy app, so when that happens, yeah stay tuned. for now I hope everyone got the most out of the few apps and sites I found which I thought would be a fun alternative to learning code. Or for the people on the go it would be helpful if anyone wanted to learn code through their smartphones. I’ll be updating this list every so often with new resources. Often times during our google searches we never get passed the first page of the internet. Nor do we bother with browsing unknown sites all together due to viruses among other resasons. Research shows that search engines (such as google) only account to about 10% of the total internet, so where’s the other 90% of it? Today i thought it would be a good idea to broaden everyones horizons on what the deep web is all about, some of you know it better as the Dark Web. But its more than that, Anyone whose trend savvy knows that the dark web allows users to host private servers, have their own social media pages, and sell things off an online black market. This isn’t mentioned in the video but it’s known that anyone who can afford a private hosting site can have their own social media network. Then again it could just be bank accounts and pet pics. Anyway, the video below from Mashable Explains segment is a briefing of what The deep web is all about under 3 minutes. I thought it would be important as a semi developer in the making to inform everyone about this type of thing for future reference. I’ll be providing links to everything discussed in the video down below. 20 years ago, Tim Berners-Lee invented the World Wide Web. It is the “readable” phrase of the World Wide Web with flat data. In Web 1.0, there is a limited interaction between sites and web users. Web 1.0 is just seen as an information portal where users passively receive info without being given the opportunity to post reviews, comments, and feedback. Is the “writable” phrase of the Web with interactive data. Unlike Web 1.0, Web 2.0 facilitates interaction between web users and sites, so it allows users to interact more freely with each other. Web 2.0 encourages participation, collaboration, and info sharing. Examples of Web 2.0 applications are Youtube, Wiki, Flickr, Facebook, WordPress and so on. It is the “executable” phrase of Web with dynamic applications, interactive services, and “machine-to-machine” interaction. 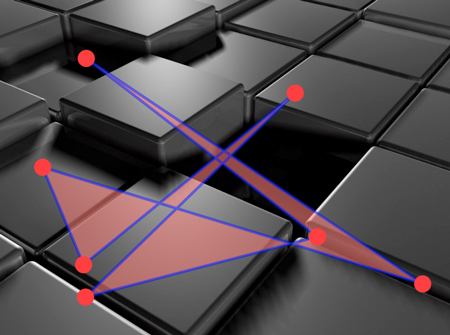 Web 3.0 is a semantic web which refers to the future. In Web 3.0, computers can interpret information like humans and intelligently generate and distribute useful content tailored to the needs of users. One example of Web 3.0 is Tivo, a digital video recorder. Its recording program can search the web and read what it finds to you based on your preferences. What is GNU? i HAVE NO IDEA! Well before I can describe what that is I’d just like to briefly go over an operating system that was first used in the tech field & the Web named Linex. I’ll say this, because of Linex we are now able to do so much with Open sourced software, this program revolutionized how coders (hackers who became coders) use apps and sites today. Before Linex, some dude named Richard Stallman existed, why is this man important? what could he contribute to the open source world? well, if it wasn’t for him we wouldn’t have a lot of the open sourced apps and software we do today. (hint All those cydia users, i’m referring to you. Not one for Apple? How about a Root). So this is what he did. The founding father of the free software movement! This man, along with an entire MIT community of hackers, trendsetted open source, beginning with one person starting something and another person picking up from where that one left off, simply. That way they would share ideas and code to form programs, that is until they were forced into using a passcode, and that’s where they got the idea to use “ENTER”this was just the beginning of Stallman’s problems. Due to lawsuit battles and goverment demands along with difficulties around the tech industry Stallman had decided to give up the pursue in trying to convince masses of potential solutions to better help the coding community, instead he came up with a his own solution called the GNU’s Not Unix, this spawned similar programs along with software that could run through GNU and revolutionized how applications were engineered. Richard Stallman believed in the principle of freedom, he did not want coders to be divided and controlled by big businesses, instead he wanted to liberate the community and give everyone the ability to create or edit as they saw fit. Today his philosophy and principles still stand and the fight with free software continues, this seems to be a never ending battle between hackers and big businesses. People always find ways to loopholes in the system regardless of the rules obtained. Richard Stallman was just the guy who thought about universal software as a good thing to help growth in technology. Freelancers and anyone trying to make a living by their own terms greatly benefit because of this man. He is the Guru of free software and his principles today have gotten us so far.